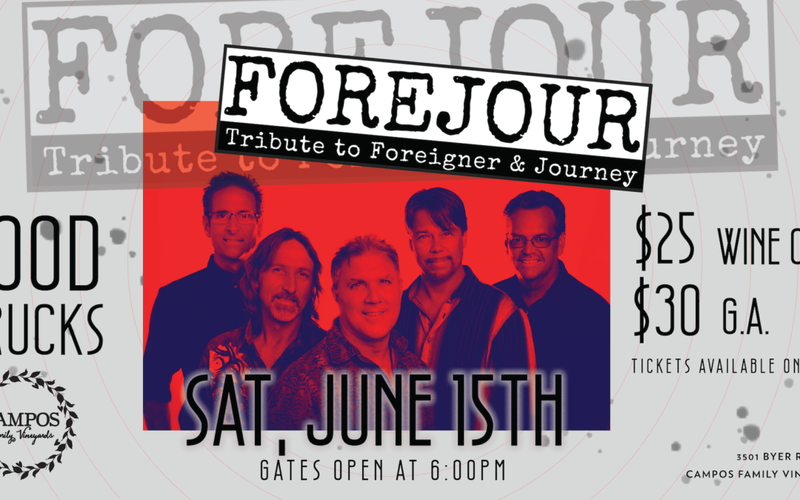 Join us on a warm summer night on the lawn for an amazing tribute to Journey and Foreigner! Gates open at 6pm sharp! Bring a low back chair or a lawn blanket to enjoy the show! Seating is first come first serve! Picnic tables are limited and available for reservation. Beer & Wine will be available for purchase! There will be a $10 parking fee collected upon entry. Parking fee is waived for Wine Club Members. This event is 21+ ONLY. No outside alcohol will be permitted on the property. All bags and coolers will be searched. There will be NO REFUNDS given for this event.